My names thebaldgeek and I am addicted to Kickstarter. I got me a new seismograph! Yeah yeah, its pretty much exactly the same as the old one and yes, I am a little disappointed on just how similar it is, but eh, no going back. The new one looks pretty much exactly the same as the old one. The main board is a little bigger now. This one is powered by a Raspberry Pi 3 vs the 2 in the old one. This one also has my name laser etched in it, same as the last one. (Its a perk for backing their kickstarter campaign). I don’t care what you think, I’m telling you, this is the best looking seismic vault in Southern California. It just is….. Cost me a packet of both money and honey-love to get the thing installed, so yeah, it is pretty! I still need to fix the lid (under the fake rock in the middle) better, but its working for now. Here they are side by side. Old and new. I wanted to run the two of them in the same vault to compare them for a good while. (Mostly because I have not found a home for the original one just yet). There were reports of this new one running hotter than the old one by way too much. I can now report, its about 10 dec C, so not so much at all. In a nut shell, the new one is supposed to have more axies of data, and it does, they are just super noisy, so are of little value 99% of the time. They supposedly come into play as soon as you have a ‘close’ earth quake. Hey, I live in SoCal, should not have to wait long….. 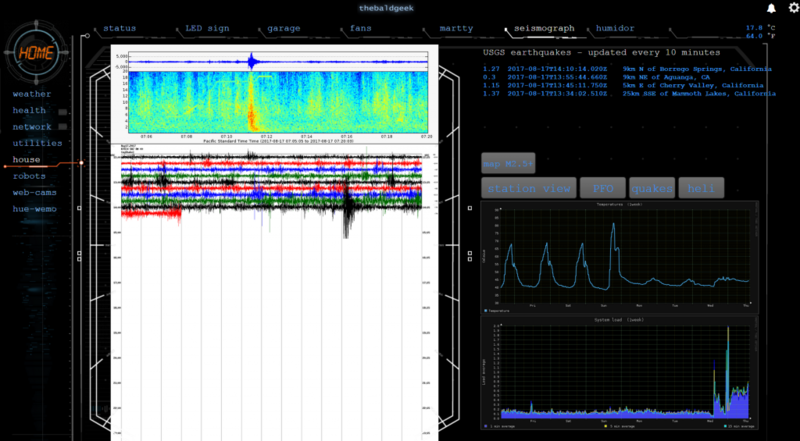 Here is a crummy literal screenshot of the two traces side by side on my groov screen. I can honestly say, after running them for a few weeks now, there is no difference in the main trace. Sad thing is, the company that puts them out has already hinted that there is another Kickstarter campaign next year with new hardware….. Bleh. If you recall I blogged about setting up a VPN on a Raspberry Pi a few blogs back….. There is a new product being ‘released’ sort of todayish. Yes yes, my names thebaldgeek and I am addicted to Kickstarter… Ok, happy now? I said it. Again. Out loud… Moving on. So in other words, exactly what you would expect from a VPN (Virtual Private Network). You tunnel your traffic, from wherever you may be, to your home network and in effect use your home Internet to surf the web or access devices on your network. (The big plus is of course is that your traffic is encrypted from your device, so it makes it a lot harder to sniff your traffic while are using free wifi at the coffee shop/ macca’s). Unfortunately, the campaign only includes bundled kits, meaning the AmpliFi Router and Teleport are sold together in a single package. If you already own the router, you cannot buy the Teleport separately — at least not during the Kickstarter campaign. This is disappointing, as existing owners are forced to either buy an additional router they do not need or wait until Teleport is sold individually down the road. With all of that said, since the Teleport only works with the AmpliFi Router, this will prevent unknowing consumers from backing it and then becoming upset when it doesn’t work with a different router model. So yeah, I can understand why this is being done. I can sort of see why, but its not going to work for me, since I already have a lot of money, time and tech invested in my router, and yes yes, I know, I could put their router behind my router, but I am trying to make my network more simple, not more complex! Besides, for me, it was as much about the learning as the end product. But. Options. You have options. And I like Ubiquiti stuff, so theres that. I wanted to get a VPN working into my home network and after looking at a few, I settled on SoftEther. First we tried setting it up on a Windows 10 Laptop, after 2 hours, we had to give up. Last night I ran a script I found on the web on a spare Pi I had and it worked first go. So, the thing is, I was not game to try it on any of my Pi3′ as they are all currently doing jobs that I don’t want to break, so it’s running on a Pi2 and is a bit slow. I would like to put it on the same Pi as is doing my DNS/DHCP, but can’t figure out if SoftEther uses its own servers for that. (I also have some time sunk into my MAC to IP mapping on that Pi and need to figure out how to back that up!). Would love to know why it wont work on the laptop, the GUI is rather nice vs command line, and the speed would be there. I think it might have something to do with the laptop’s Broadcom interface adaptor driver not working in bridge mode. Just a quick update to say that things are working and that I have added a thermal graph to the data. This screenshot is from my groov screen. It is easier for me to add live data to there than this website….. But I try and keep some of it synched. Anyway, the point of this is to show that the system picked up a ‘tiny’ M1.27 at my beloved Borrego Springs a few days after I got it in the new vault. I like the thermal plot, it shows the amplitude of the frequency of the data. Low bass at the bottom and tops out at 20 Hz at the top. Blue is low amplitude and works its way up to red. I need to do some more reading about how to read both waveforms, but its nice to have it and let it seep in in the meanwhile. 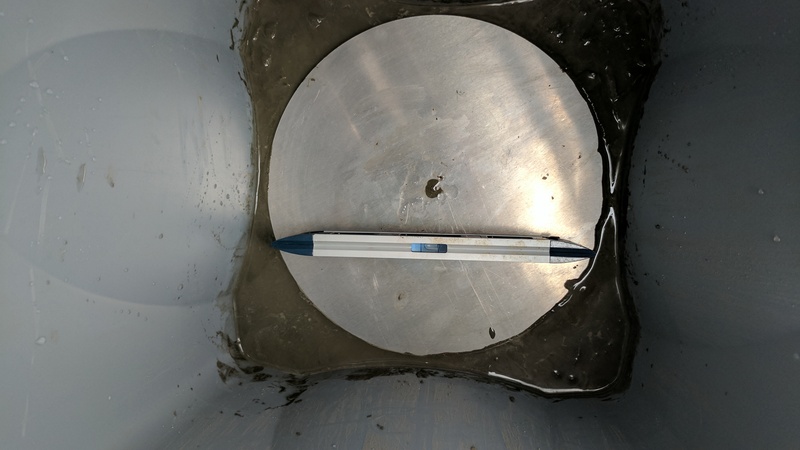 I plan to put some 50/50 cement/sand mix around the tub, put a water edge around the edge to help the water run away from the tub and then make a foam top to keep the bugs out. Once that is done, we are pretty much done with the physical vault. At this point I will turn my attention to the software. Made the last physical change to reduce the urban noise this past weekend. In short, they recomend a bunch of things that I cant come at, either size wise, or cost wise. We tried to take the guts of the vault and reproduce it in the backyard. 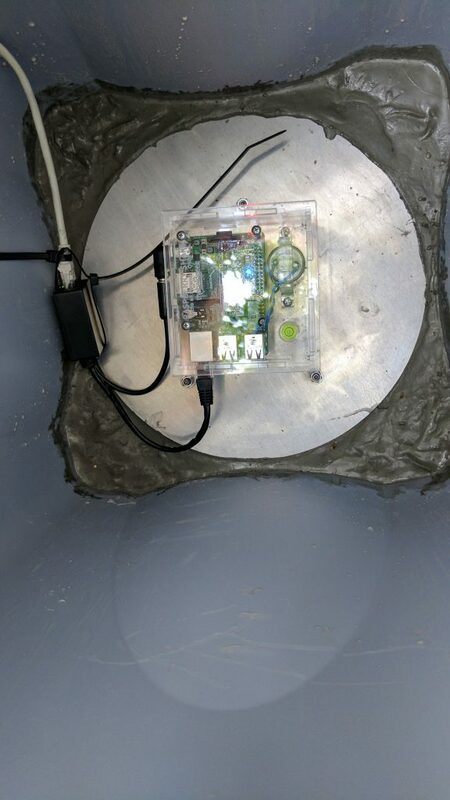 One thing to note from the recommendations, we don’t have to worry about the thermal aspects of the vault since the Raspberry Pi seismograph is not adversely affected by temperature changes. This is the big picture. 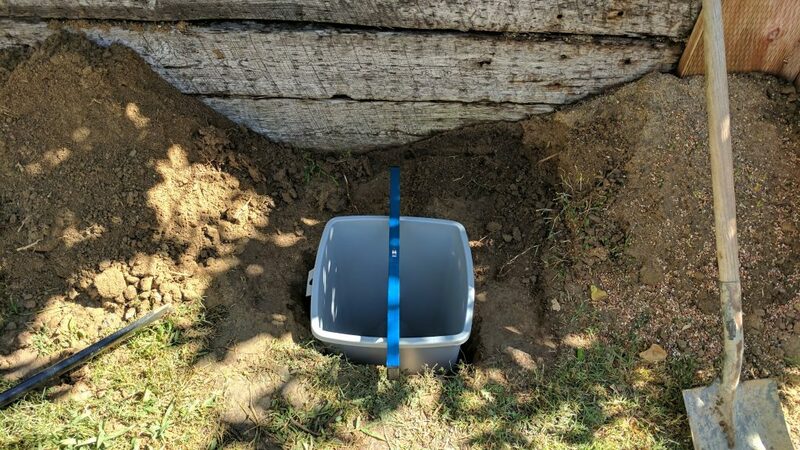 We are going to dig a hole, put some cement in the bottom, stick the plastic bucket into the hole – grounding it in the wet cement – then put some more wet cement in the bottom of the bucket, then put a plate (USGS said glass, bit short on that so using some steel) on the cement and that’s hopefully that. Hole dug, and wet cement in the bottom. As per the PDF, we put a mound in the middle then pushed the tub down and settled it. It probably did not matter much, but we made sure it was level in both directions. 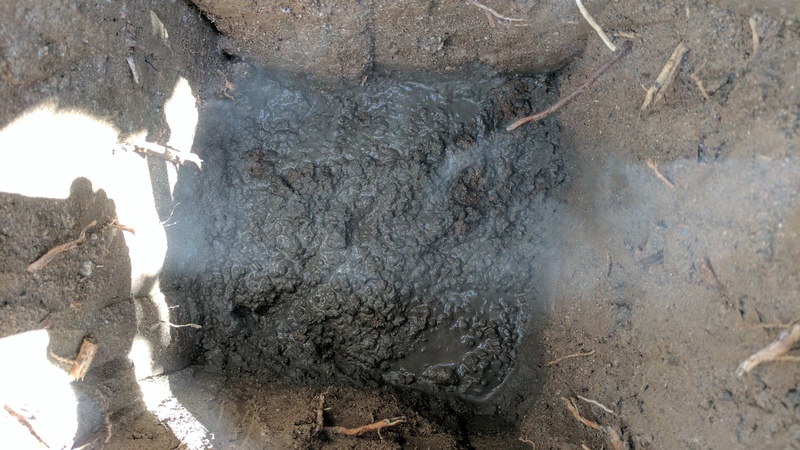 The USGS said that we should put wet cement around the whole bin, but I was short on cement, so we just left it at the bottom. We could get some more and put it around the whole thing at a latter date, but, well, lets see how things go with just the bottom stuck down. Wet cement in the bottom, the plate on top and leveled in both directions. The Raspberry Pi setup is the same. I did not feel the need to change anything in this regard. The Ethernet brings both network and power. The POE adapter splits it off and routes it to the appropriate port. 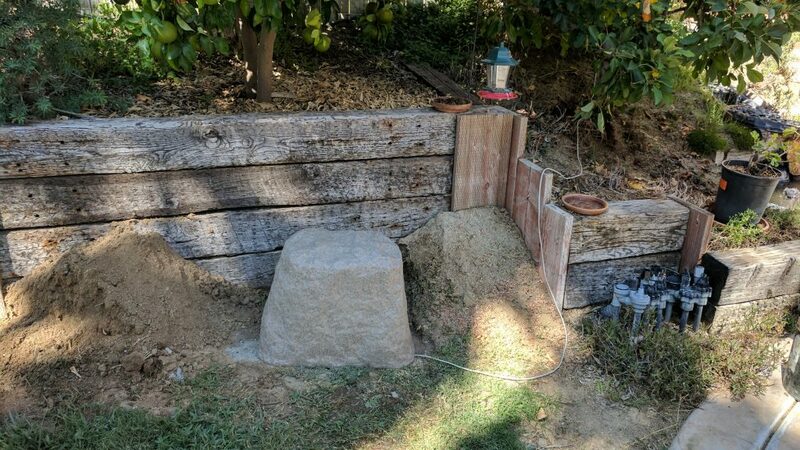 The fake rock is just sitting there for now, but the plan is to dig it in a little around the edge, put some sort of edging around to ‘seal’ the ‘rock’ to the ground and thus tub. 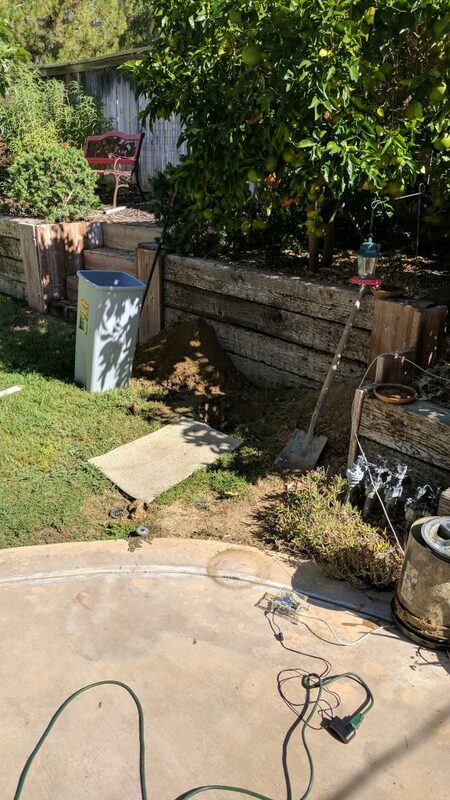 We are planing a small garden around the corner of the retaining wall, both to ‘hide’ the rock a bit, but also to finish that part of the lawn, the grass never grows all that great, probably due to the grape fruit tree shade. The fake rock and tub are not the best, I like the seal on the old bucket better, but it was just too small and shallow. We could not find a longer one with the same seal, so we just have to make do. The big issue is bugs. A close second is water/moisture. So, the 300 dollar question, how is the urban noise? Duno. Its only been in place a few hours Sunday afternoon, we need to watch it for 2-3 days at the very least to get a feel for things.